With the sun setting in golden shades behind the hill, Mr Mustard is 'Walking Down To Happiness' with his four-legged friends! 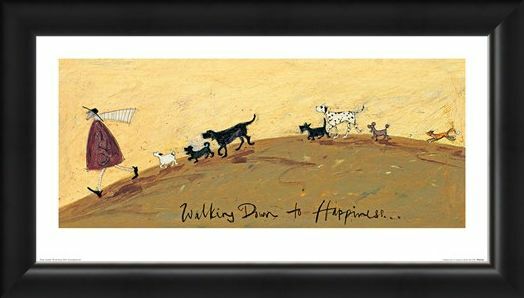 With his darling little white dog Doris leading the way, the other pooches from the neighbourhood join them in an evening stroll down to the sand and sea. 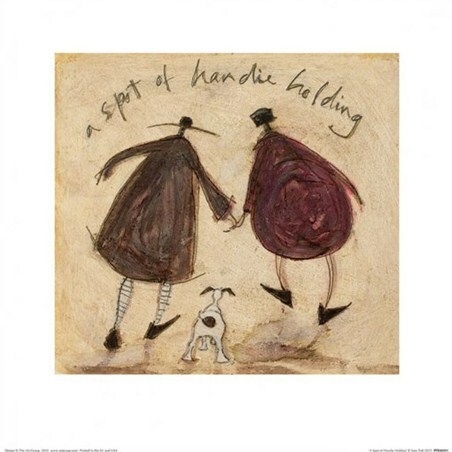 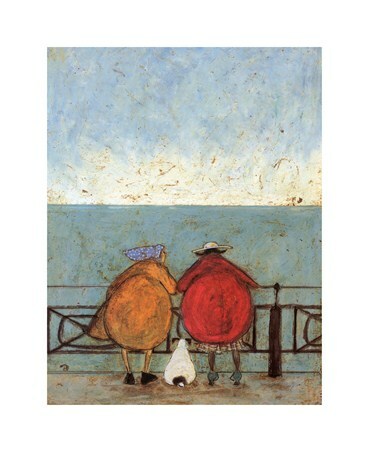 Incorporating love and endearment into every piece, Sam Toft has truly created a heart warming print perfect for your home, reflecting your kind of happy! 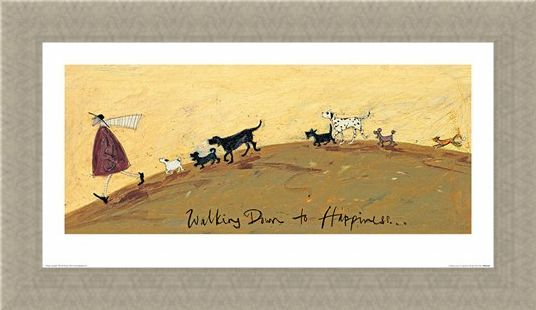 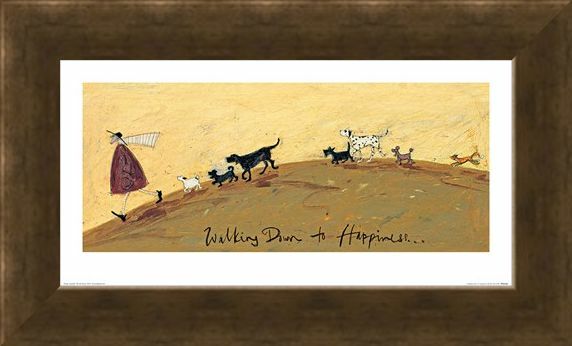 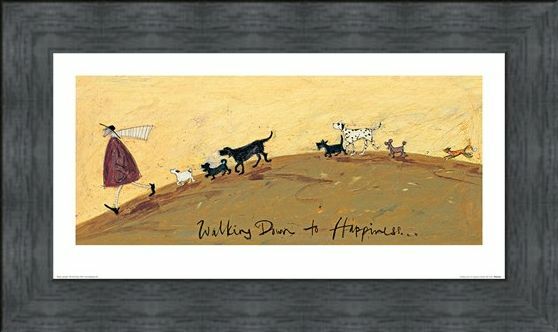 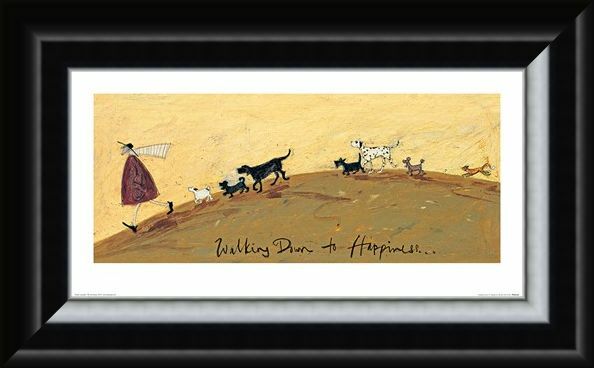 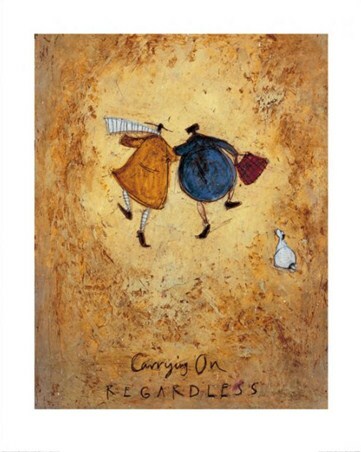 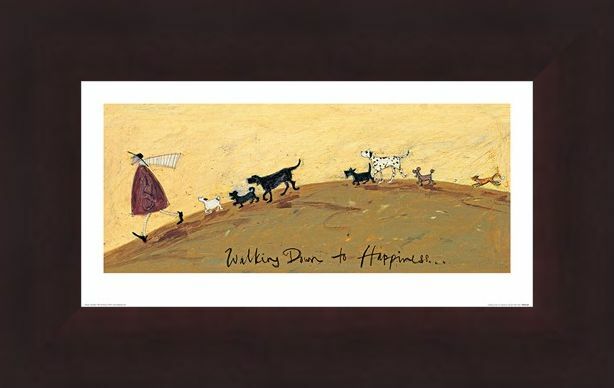 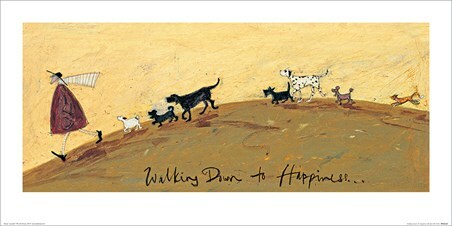 High quality, framed Walking Down To Happiness, Sam Toft print with a bespoke frame by our custom framing service.